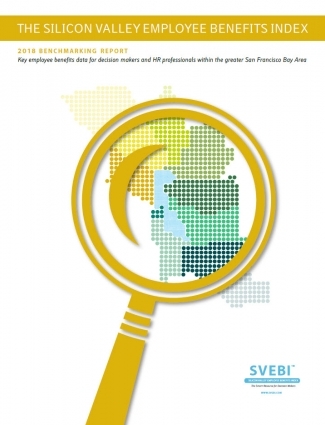 The Silicon Valley Employee Benefits Index (SVEBI) provides the most comprehensive and current research data on employee benefit plans for employers in the San Francisco Greater Bay Area. At SVEBI, our goal is to present market data using meaningful benchmarks to help employers navigate the competitive employment and employee benefits market in the greater Silicon Valley area. The Silicon Valley Employee Benefits Index (SVEBI) is a unique resource for market-based competitive information on the employee benefits offered within the Silicon Valley/Greater San Francisco Bay Area. The SVEBI survey also identifies key employee benefit objectives for all employers including benefits communication, administration, and compliance issues. In today’s competitive job market, SVEBI summary data can help you evaluate your company’s benefits offerings against the competition and across other industries. Understanding market trends, and knowing where other employers are going, will assist in attracting and retaining top talent at your company. The Silicon Valley/Greater San Francisco Bay Area is a thriving microcosm of talent and diversity. Life in the Bay Area is unlike anywhere else in the world. The region is geographically and ethnically diverse, ranging from large cities like San Francisco, Oakland, and San Jose, to smaller urban and agricultural areas. The Bay Area is one of the wealthiest regions in the United States, and this high standard of living is reflected in the benefits offered by Bay Area employers. While benefit trends across the nation suggest cost containment through cost shifting to employees and/or benefit downgrades, employee benefits within the Silicon Valley/Greater Bay Area continue to feature rich benefit packages with relatively low deductibles and copay amounts. Whether you are headquartered within the Bay Area or elsewhere, SVEBI provides the most comprehensive and current research data on employee benefit plans in the area, including the most common benefit plan approaches and their relative costs to both employers and employees. SVEBI provides tangible data necessary to develop a competitive plan. 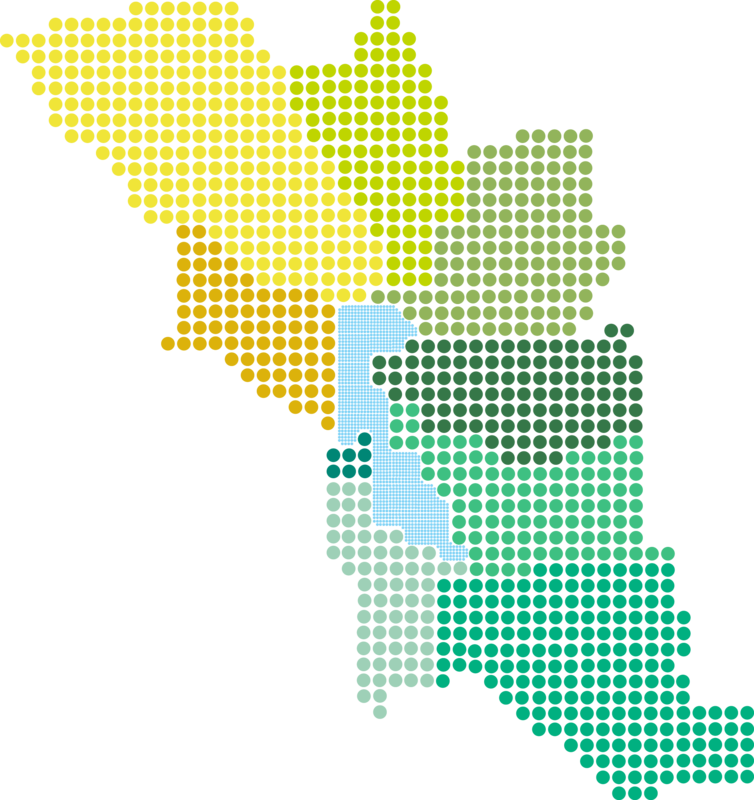 For the purposes of this survey, SVEBI includes the nine counties within the Silicon Valley/Greater San Francisco Bay Area: Alameda County, Contra Costa County, Marin County, Napa County, San Francisco County, San Mateo County, Santa Clara County, Solano County, and Sonoma County. The SVEBI survey opens January 2nd of each year to begin collecting data for that year. Results are released each year in late spring. The Silicon Valley Employee Benefits Index (SVEBI) data represents all industries with no limitations or market segmentation because in the Silicon Valley/Greater Bay Area, it is all about the people. Survey participants include employer groups of 20 or more employees. In order to participate, at least 50% of employees must be located within the 9 counties of the Silicon Valley/Greater San Francisco Bay Area.